Special to The Sun: Washington Township Chamber of Commerce President Brian Bailey and Director of Community Events Nicole Lannutti hand over a $2019 check to WTHS Project Graduation. From left: WTHS Principal Jonathan Strout, Nicole Lannutti, WTHS Project Graduation advisor Carol Costello and Brian Bailey. 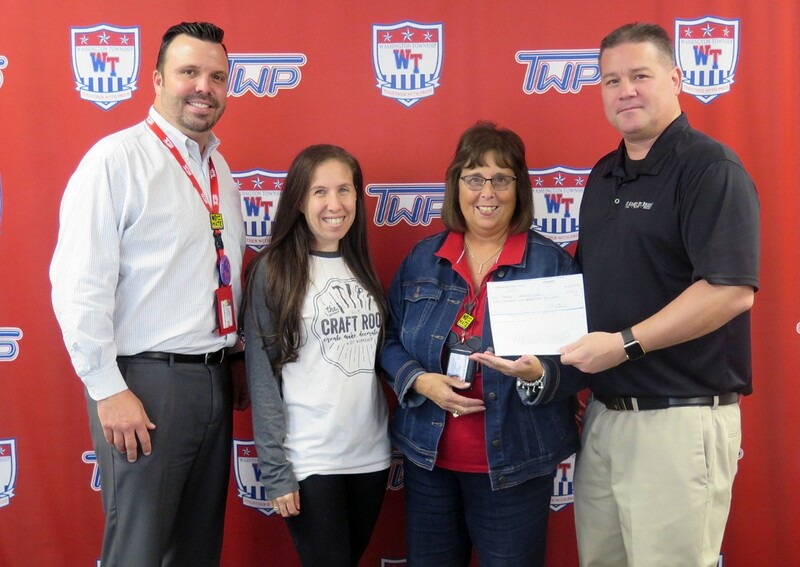 Members of the Washington Township Chamber of Commerce visited Washington Township High School on Oct. 17 to present a check to project graduation. WTHS volunteers recently helped sell raffle tickets at the chamber’s block party event, and they were thanked on Wednesday with a generous check for $2019 — matching the number representing the class of 2019. Chamber of Commerce President Brian Bailey and Director of Community Events Nicole Lannutti handed over the check to Project Graduation advisor Carol Costello and WTHS Principal Jonathan Strout. 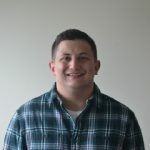 Project Graduation is an all-night, drug- and alcohol-free celebration, which begins immediately following formal WTHS commencement ceremonies in June.